Yes, I know it’s coming up to barbecue season but that’s honestly not the only reason I’m inspired by fire, this yearning has been going on an awful lot longer than that! Ever since I can remember I’ve been fascinated by flames (hence ending up with a fireman?!) and I’ve always wanted my own *real* fire. At our house Mr M might be the expert in putting them out but I’m the firestarter who gets excited at the prospect of kindling, matches and those first flickers before everything catches hold. 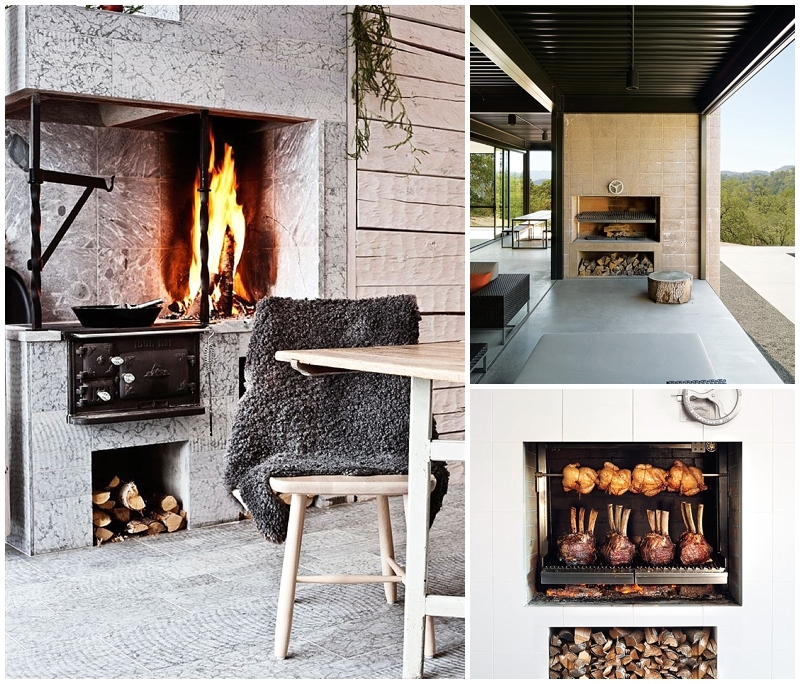 In Argentina and Uruguay this type of indoor cooking is quite common – though they also probably get more chance to cook outside like this than we Northerners do. The Argentinians call it Asado, using only timber to cook over and that’s the style I’m seeking to emulate here. A side fire is created where the logs are lit and burn down, then the single layer of hot embers is spread thinly and the meat cooked over it. This isn’t just any old meat cooking mind, oh no, this is Asado, where the name not only describes the actual fire and concept but also the social event around the cooking too. They cook their meat well done, use only salt as seasoning and always start with blood sausages so I’m not sure we’ll be following the rules to the letter but here goes my first post about a new cooking style here at Moregeous Mansions. Watch this space for practical tips as we build it and very soon, I hope, a post about our first cooking experience! Keen to see the updates, thinking of doing an outdoor firepit/oven when we redevelop our place soon! Pingback: Moregeous Monday Meal: Pimp My Paella With Lemon Roast Chicken Supreme | MOREGEOUS... more than gorgeous!